René Lalique began his career as a jeweler at a time when intense design and the profusion of precious stones and metals were a standard. His revolutionary creations made him the master of Art Nouveau jewelry. He did not hesitate to make use both of horn, ivory, semiprecious stones, enamel and, of course, glass, which he combined with gold and precious metals. The Opening: Cardamom, Lemon and Thyme adding silver stars to wake the senses. The Heart: Galbanum and Haitian Vétiver, gives elegance to the heart. 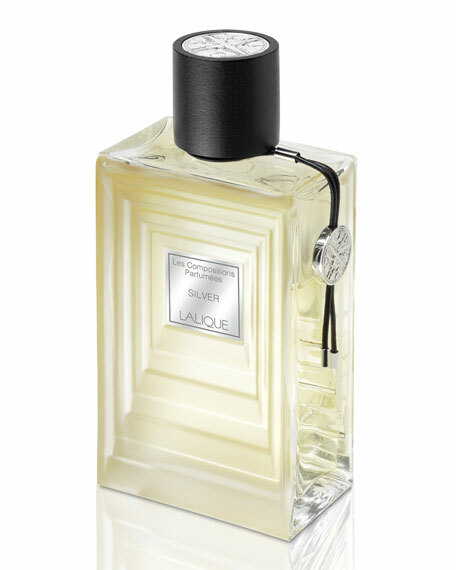 The Silver Base: Leather, Patchouli, Cistus the flower know as the rock or moon flower to add moonbeams to silver Chypre Leathery. For in-store inquiries, use sku #231564.